Check your emails from P&G for an exclusive Shutterfly gift for P&G members! 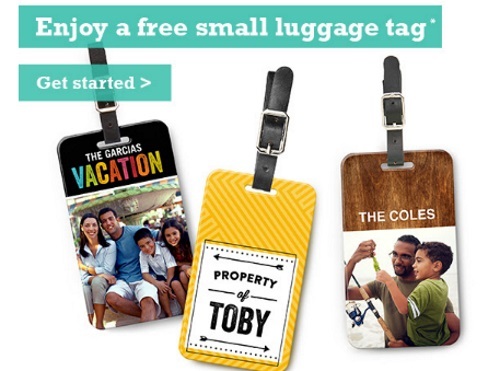 For Father's Day coming up, get a free personalized luggage tag with the promo code provided. You'll get 50 Free prints as well! Enter the promo code that was sent to your email (I cannot share it here as the code is unique to every person) at the link below to get the free gift. This offer code can only be entered once. Offer ends June 30, 2016. To sign up for future P&G offers like this one, click here.